Do you love liberty and freedom?� If so, you better watch your back.� The control freaks that run our society are stripping away our liberties and freedoms a little bit more each day, and lately they seem to be particularly focused on coming after those that are not "integrating" into the system.� Just like the rest of the western world, America is being transformed into a "Big Brother" police state control grid.� Nearly everything that you do is being watched and monitored.� A whole host of organizations know that you are on this website right now.� If you want to go to an NFL game next weekend, there is a good chance that you will be on the receiving end of an "enhanced pat-down" and if you are producing raw milk on your farm there is a good chance that the feds will show up for a pre-dawn raid on your property.� In many areas of the country, the government forces us to shoot our kids full of vaccines and implant dangerous microchips in our pets.� Virtually wherever we go there is a camera that is watching us or there are other Americans that are evaluating whether or not we are engaged in "suspicious activity" that needs to be reported to the government.� Once upon a time, America was all about liberty and freedom, but today our nation is undergoing a radical cultural shift.� America is being "locked down", and those who love liberty and freedom should watch their backs. In America today, you do not have the right to say whatever you want.� If you say the wrong thing on a blog or a website it can have dramatic consequences. In America today, you do not have a right to privacy.� In fact, you should expect that everything that you do is watched, tracked, monitored and recorded. #1 A 55-year-old man in Arizona was recently ordered to turn in all his guns because of things that he wrote on his blog.� Fortunately, after WorldNetDaily covered the story there was an outpouring of outrage and the order was overturned, but what would have happened if WorldNetDaily had not covered the story? The U.S. Centers for Disease Control, which has been comprehensively exposed as a vaccine propaganda organization promoting the interests of drug companies, is now engaged in a household surveillance program that involves calling U.S. households and intimidating parents into producing child immunization records. 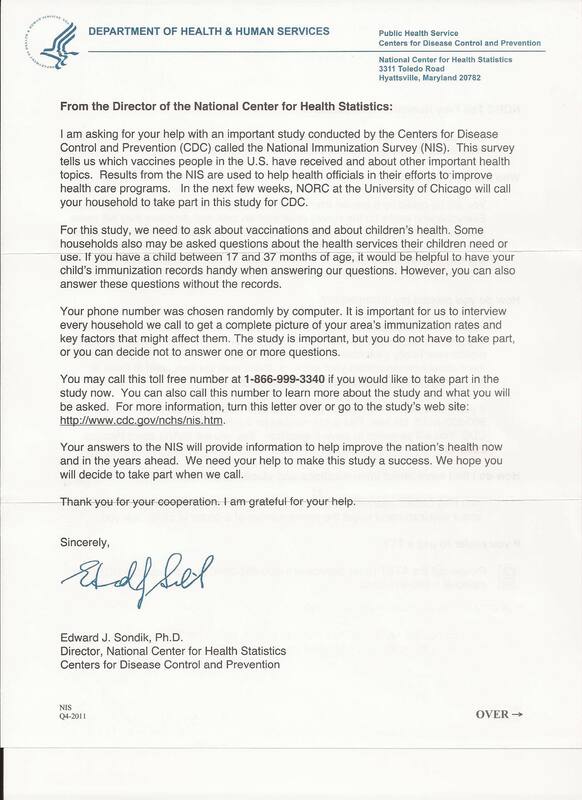 As part of what it deems a National Immunization Survey(NIS), the CDC is sending letters to U.S. households, alerting them that they will be called by "NORC at the University of Chicago" and that households should "have your child's immunization records handy when answering our questions." Ginger Franklin, Hendersonville, Tennessee, fell down the stairs in her condo and suffered a bump on her head.� She was declared "temporarily mentally incapacitated" and a guardian was appointed through the courts.� Within six weeks, the guardian had sold Franklin's home, car, furniture, and drained her bank account.� Today, Franklin has her freedom back, but she is having to start all over. Board Bill 107 would require all pet owners to spay or neuter their dogs and cats and microchip them for identification. Those who don't want to sterilize their pets would be assessed a fee of $200 per year. "I think we ought to suspend, perhaps, elections for Congress for two years and just tell them we won't hold it against them, whatever decisions they make, to just let them help this country recover"
#8 As I wrote about recently, many NFL teams are now performing "enhanced pat-downs" of fans before they enter the stadiums.� In Green Bay, the Packers are using hand-held metal detectors on fans before they are allowed to enter Lambeau field. What is next?� Will they soon insist that we all undergo full body cavity searches before we are permitted to attend the games? #9 Many Americans have complained about the horrible treatment that they are receiving at U.S. airports, but now the TSA is bringing their brand of "security" to many other locations throughout America as well. #10 Many of our public schools are now being run like prisons.� In fact, in many areas of the country, little kids are being publicly arrested by police in their own classrooms and are being marched out of their schools in handcuffs. #11 If you think that anything that you do on the Internet is private, you should guess again.� It has recently come out that Facebook continues to track most of the websites that you visit even after you have logged out of Facebook. In addition, law enforcement agencies all over the globe are increasingly viewing social media as a law enforcement tool.� For example, the NYPD recently created a special "social media" unit dedicated to looking for criminals on Facebook and Twitter. Also, many large organizations are now setting us very sophisticated systems that keep track of what is being said about them online and who is saying it.� For example, the new "Social Media Monitoring Solution" being developed by the Federal Reserve will identify "key bloggers" and monitor "billions of conversations" about the Fed on Facebook, Twitter, forums and blogs. According to WorldNetDaily, this document is part of a "series of brochures" that will be distributed "to farm supply stores, gun shops, military surplus stores and even hotels and motels." The Department of Homeland Security is spending massive amounts of money and running tons of ads to promote the "See Something, Say Something" campaign. I don't know about you, but I don't want to end up living in a society that resembles the novel "1984" by George Orwell. The Department of Homeland Security should be given a dual mandate.� They must be charged with protecting us and they must be charged with protecting our liberty, freedom, honor and dignity at the same time. They are actually instructed to be mean and aggressive with us.� From the first day of training, they are taught to treat us like dirt. Things were not always this way in America.� Once upon a time there was a clear distinction between the United States and "evil" totalitarian regimes. 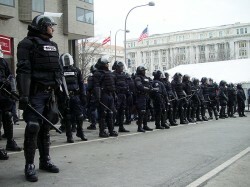 Well, today we are becoming a little more "evil" and a little more "totalitarian" with each passing day.